Ramon Stuurman was born and raised in Schagen. In 2011 he started hosting small events in his region as MC Livid. Shortly after, the organization 'Lose Your Mind' gave him the opportunity to host bigger nights. 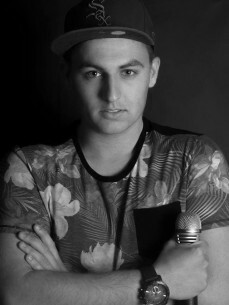 He became the resident MC on events like 'Zomaar', 'Total Mash Up' and 'Penoze'. It did not take long before others discovered MC Livid. In 2013 'Hardshore Festival', 'Daylight Festival', 'Outdoor Stereo Festival', 'Penoze – C.R.A.F.T. ', and 'Dance Valley' all welcomed MC Livid as their host. MC Livid exploits every opportunity to throw an energetic party. When MC Livid goes wild, so does the crowd and vice versa! It's a combination of the thrill, the enthusiasm and his energy that gives this young MC the motivation and strength to become even better and better.